Several Unitek programs prepare students by giving them access to healthcare facilities, applied training, and professional instruction. All of the programs at the Sacramento Campus can be completed in a year or less. The Sacramento Campus is located near Commerce Gardens and the American River. Within distance of the Capital City Freeway, the campus is near various estates, colleges, and restaurants. Other nearby attractions include Raging Waters Sacramento and a Cal-Expo Race Track. Sacramento is not only the capital of California, but it is the sixth largest city in the state and the thirty-fifth largest city in the country. In present day, the city is primarily known for its diversity, sunny weather, progressive contemporary culture, and farm-to-table restaurants. One of its many notable areas is the Old Sacramento Historic District, which is a U.S. National Historic Landmark District. The city has numerous theater venues, museums, and film festivals as well. Vocational Nursing program in Sacramento: This program gives students the knowledge and skillset they’ll need to pass the licensure exam in as little as 12 months! If you like to help people, this program could be a great choice—healthcare careers are often incredibly rewarding. Medical Assisting classes in Sacramento: This program equips students with the experience and skills they’ll need to excel as a Medical Assistant. A supervised externship is included! Medical Office Administration courses in Sacramento: Learn how to provide excellent patient administration with this program. Students will learn about medical office procedures, patient interaction, medical records, and more. 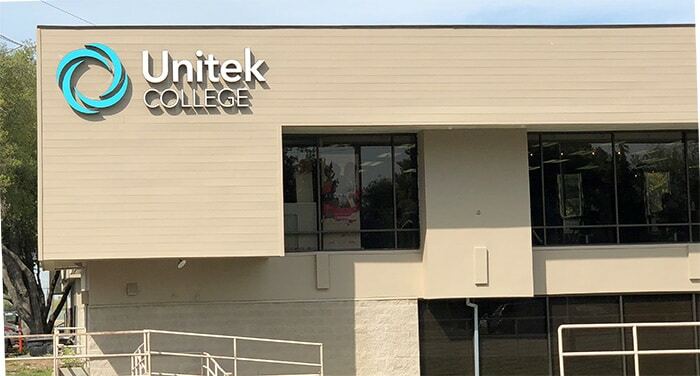 Dental Assisting program in Sacramento: Unitek provides Dental Assistant training and gives students the knowledge they’ll need to succeed in the field. The curriculum includes lab work, in-class instruction, and a supervised externship. If you’re searching for Dental Assistant programs, this could very well be the one for you!